A Send an SNMP trap. B Send a syslog message. C Increment the Security Violation counter. 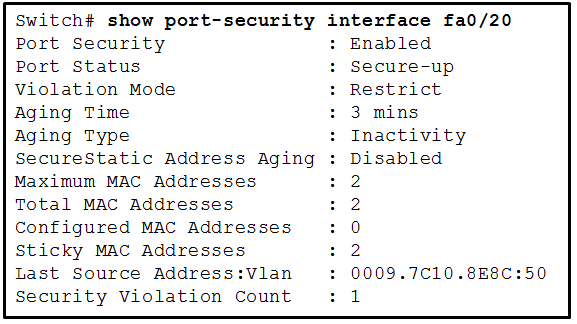 E Write the MAC address to the startup-config. F Shut down the port.